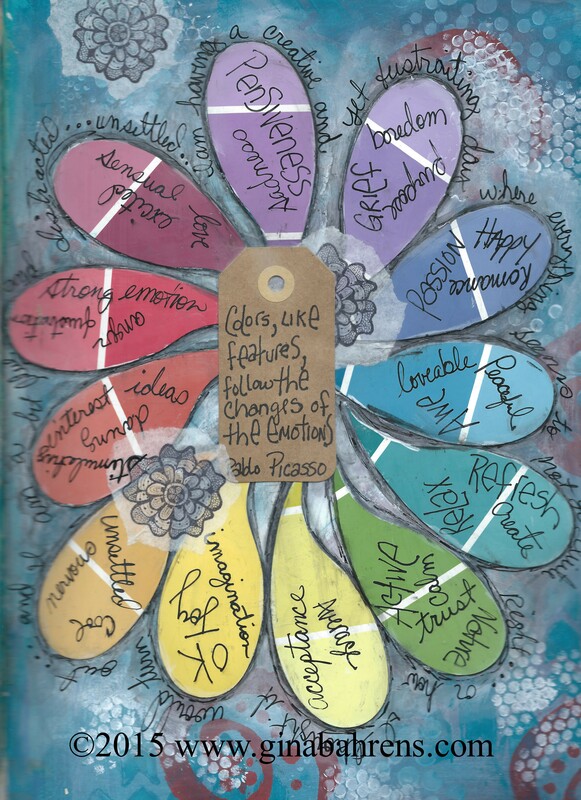 This week we challenge you to journal your mood. Maybe you do this all the time, but often we don’t think about our mood as we’re creating…we just create and see the results of our mood/emotional state. 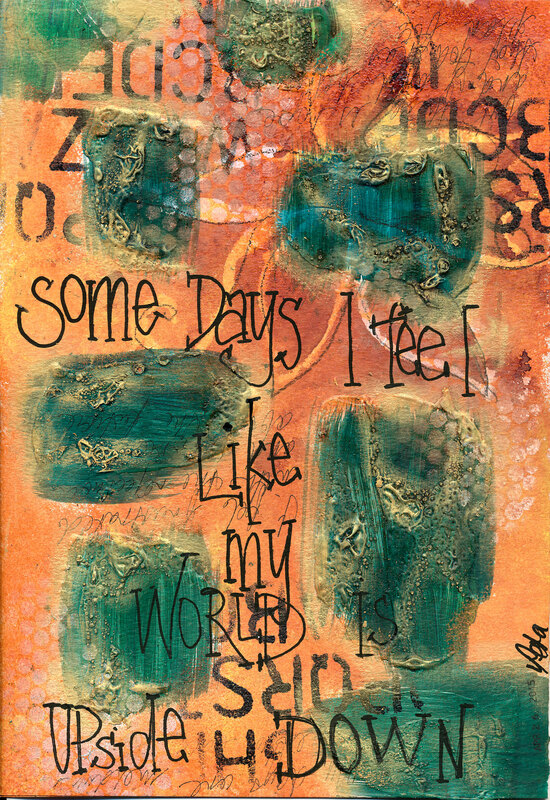 Peta and I both created pages reflecting our mood at that moment in very different ways. 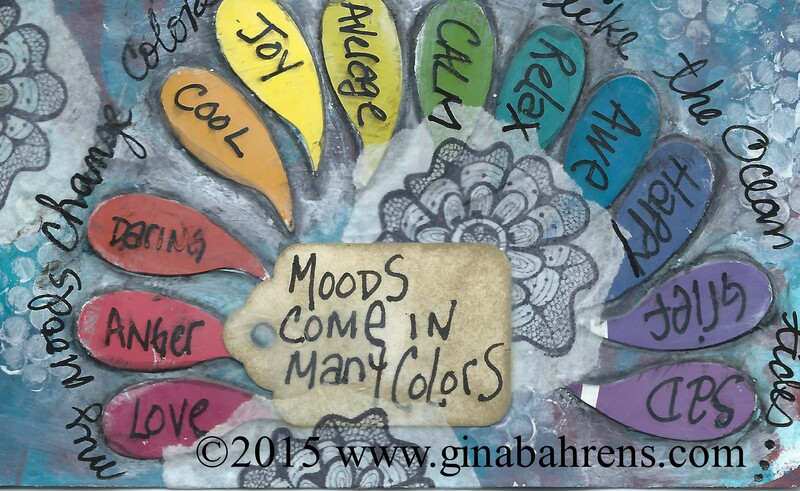 Gina takes art and mood to another level in her lesson this week where she explores color and it’s associations with our moods and emotions…very cool stuff!